Kids in cages. “Tender age facilities.” Baby prisons. A chorus of wailing children ‘in need of a conductor.’ This week on American Apocalypse, Trump’s disastrous zero-tolerance immigration policy separated families at the southern U.S. border, resulting in thousands of minors, including babies and toddlers, incarcerated in immigration detention centers. Just days later Trump ends the practice, not because he felt it was wrong but because he said he didn’t like the way it looked or felt. It was the optics that forced the reversal. And why shouldn’t they? Children were drowning in a sea of mylar blankets, kenneled in dog cages. Babies weeping as their mothers are taken from them. The above image was ground zero of the outrage over zero tolerance. The detention of people crossing the southern border is not new, nor did these childhood detention centers pop up overnight, but the images were too arresting to allow people to ignore the problem. Optics-fueled outrage forced the President to issue a new executive order–and also prompted the government to tighten down the flow of images of detained asylum seekers. In the battle for the soul of America, optics are the primary weapon. We are a culture obsessed with the image, so what we see determines much of what we think and where we direct our energy. Our media environment relies heavily on images–clickbait and real news sites alike use arresting images to capture readers attention in fast-moving social media streams. With the crush of information that we stagger under every day, only the image that shocks can cut through. The undeniably real and awful reaches straight into our lizard brain, stopping us in our stupor. Despite the constant obfuscation of our political and cultural climate, we are still human, and that human within us can be activated by the egregious. 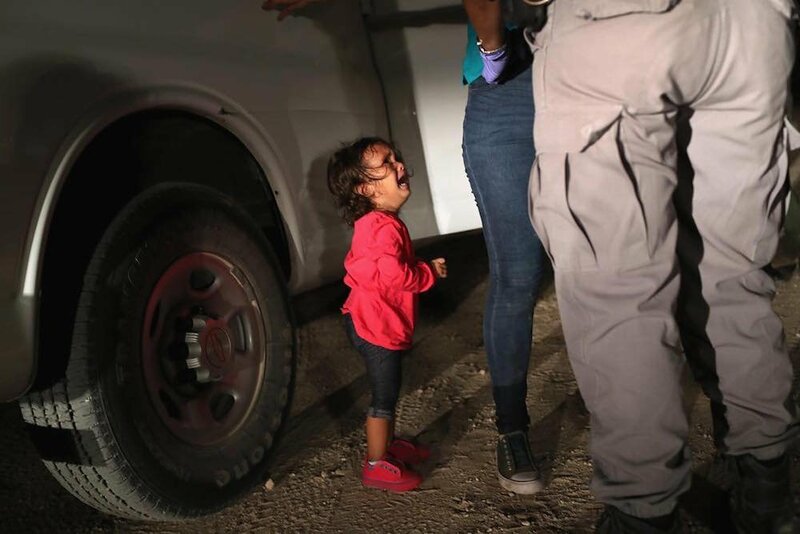 So the image of a crying girl and kids in cages galvanized a nation into a moment of wokefulness. Even Republicans agreed that keeping kids in cages without their parents is wrong, and they pushed for a bill that would reunite kids with their parents in cages in indefinite incarceration–this way everyone is happy: cage manufacturers, tent city wardens, and virulently racist Trump supporters rejoice! In the land of optics, the devil is in the details. What seems like relief is little more than a nod to public outrage. Families can now be detained indefinitely, internment camps look more and more like those that held Japanese-Americans, and control tightened on images of the continuing crisis. The federal government is limiting access to the shelters and keeping reporters and senators alike from being able to witness or share the conditions of the immigration detention facilities baby jails. Melani’s staged camp tour was more propaganda in a week heavy with it, the illusion of information. Yes, even now that the order has been signed. While many of us were horrified by the images of kids in cages, few of us are aware that these few images from inside the detention centers were released to news organizations for use by U.S. Customs and Border Protection and are not first-hand images collected by journalists and other witnesses during short observation visits. 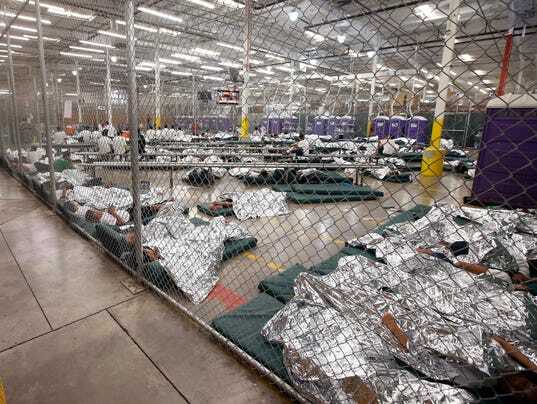 By contrast, the Pro Publica audio tape of wailing children was not a piece of government content, showing that actual conditions were more stressful and traumatizing that the sanitized images of children lining up and sterile tents. The American public can be swayed by dramatic and horrific images. The Vietnam War is an instructive example. During the war, the advent of color television and meals in aluminum that make for easy reheating combined meant many people spent dinnertime watching the evening news. Each night Americans choked down the death count of American soldiers and the carnage of the war along with their TV dinner. This exposure to the horrors of war in full color became indigestible to the public, and narratives of glory soon turned to clamor to end the war, especially after the Tet offensive. As the optics soured and criticism grew, support for ongoing resources dwindled and political support evaporated. The federal government learned from this loss to optics, weaponized for the new medium of color TV. A tacit adherence to government policy by news agencies emerged: out of respect for the families, news agencies would not run images of returning soldiers coffins. 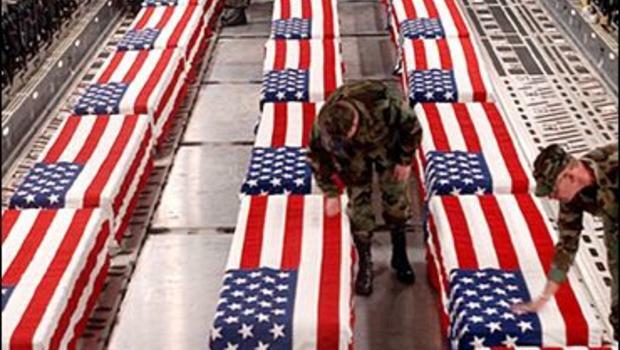 While its true such images could be upsetting to family members, it is also true that images of returning soldiers caskets dulled the public’s taste for war, making it hard to get the support needed to invade say, Kuwait, or Iraq, or Afghanistan. 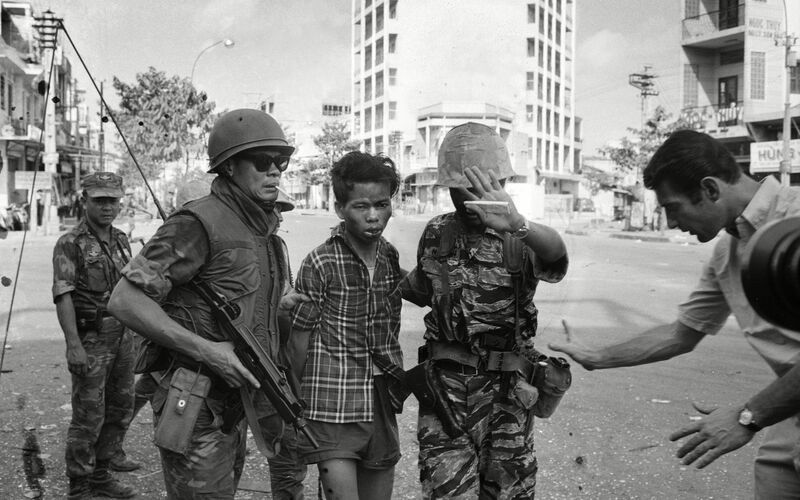 The suppression of images of war was managed by the U.S. government by allowing some reporters controlled access–remember embedded reporters? This relationship between journalists and the military meant that there was lots of amazing and important footage from within the war zone, but always with a handler, a filter–a censor. When servicemen were tortured and killed in Fallujah, debate raged whether to run the horrific images of the mutilated bodies. 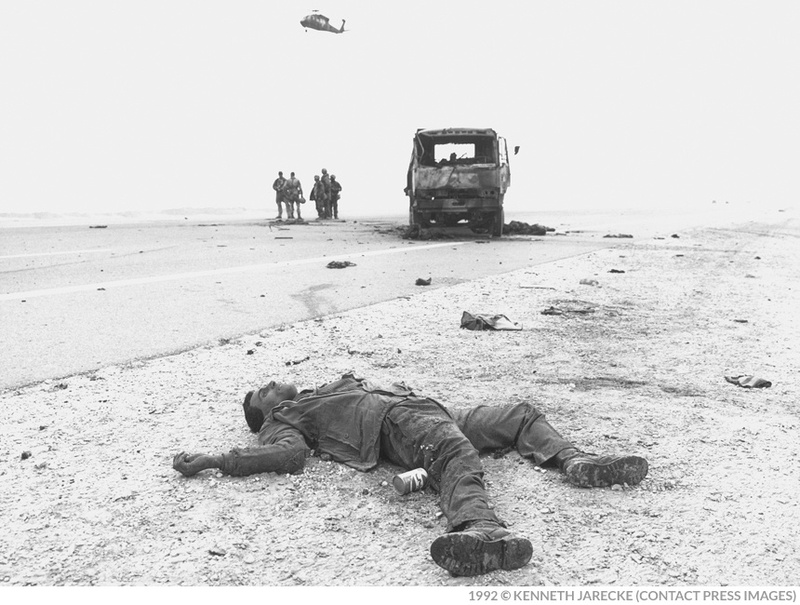 When a reporter published graphic images of American dead, he was barred from the field. There were consequences for journalists and outlets who chose show images the government didn’t want to be seen. There are consequences now for journalists who question the Trump administration in this undeclared immigration war. 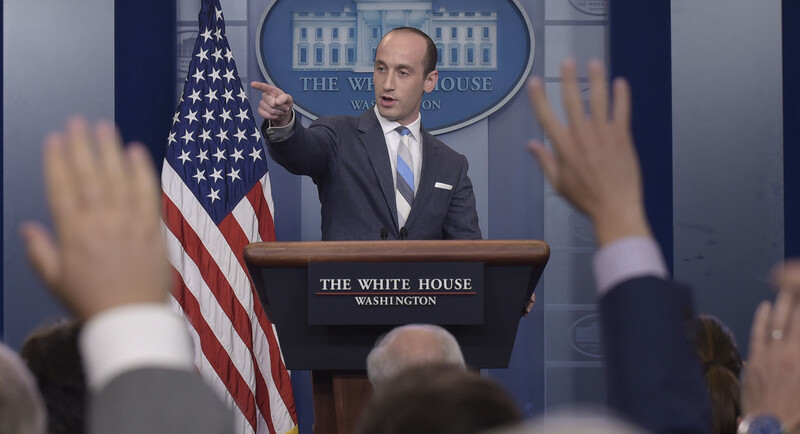 We have watched over the last two years as the administration eats away at the free press, shutting out those who disagree, openly disrespecting the press in rabid rallies and press conferences alike, barring journalists from taking images of asylum-seeking babies in kennels on the border. The government has gotten smarter–they control their media as carefully as a Kardashian. We can talk ourselves out of anything with words. All of the horrors of history from war to holocausts happened in real time to millions of people who had to make sense of it. People went about their daily life eating and pooping and living while others were sold as property, captured and tortured, packed on to trains or locked up in baby prisons. We can read what they thought or said, but the images still stand as a testament that they should have been able to see right from wrong in front of their eyes. In the age of information, the only image that can’t go viral is the one you can’t take. The only atrocity you can get away with is the one that you hide. It is exhausting to be the ones to bear witness in these times, but make no mistake your witnessing matters. Like Schrodinger’s cat, it is the power of the observer that brings the cat to life–or not. Every horror that can befall a human can go on unchecked when we look away, all possible oppressions can happen when we refuse to watch. As long as we watch, optics will be the weapon of our civil war. As long as we support those who hunt for these images, we will have the ammunition we need to stand up and say no. Donate to those fighting still to reunify families, pause for a second to rest your weary eyes, and stay ready to bear witness as resistance.